Marlene is a freelance writer and Cold Fusion Web Applications developer living in Phoenix, Arizona. 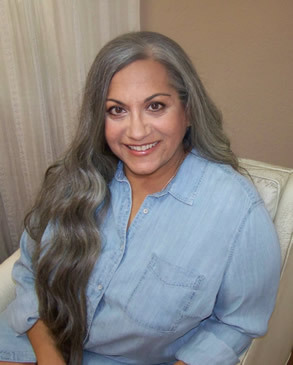 Her column, "Words of Mind" is widely published internationally in spiritual and holistic journals, newspapers and magazines, as well as mainstream media. Taking a quiet sideways glance at life, Marlene offers insight through her words from experiences. A student of new-thought teachings, Marlene finds practical spirituality around every corner and seeks wisdom through observation of life's inter-relationships. Sometimes playful, sometimes poignant, always thought-provoking, her writing inspires readers in meaningful ways. She is a member of American Mensa, Ltd. Marlene holds degrees in Communications and Psychology from the University of Michigan, Ann Arbor. An on-stage performer since 4 years of age, Marlene studied piano at Interlochen (National Music Camp) in Northern Michigan, enjoyed several years of private instruction in classical Voice, and practiced the Cecchetti method of ballet for over 14 years, including pointe. Marlene plays acoustic guitar and recently dabbled with the ukuleke. Marlene graduated from Mercy High School in Farmington Hills, MI which served as the foundation of confident thought, a passion for learning and the importance of helping others visualize and achieve goals. A Libertarian in philosophy and affiliation, Marlene treasures the soverignty of the individual and the right for every person to live for his own sake. Holding precious the tenets of the United States Constitution, Marlene's love of Liberty and Country underlie her honor for her great nation, and her spirited stand for Freedom over collectivism. She lives with 2 Dobermans who run her life and allow her to pay the mortgage, feed and spoil them. In her spare time, Marlene enjoys dancing, photography, solving puzzles, traveling, and most of all, engaging conversation.